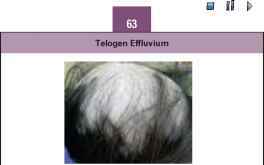 Diffuse alopecia and especially frontal alopecia due to increased hair fragility is more typical for SLE. Scarring alopecia is a frequent clinical feature of DLE and SLE. Alopecia areata is rarely associated with LE. In a large study of 736 patients with alopecia areata, only 2 had DLE and 2 had SLE (Muller and Winkelmann 1963). In 1975, Lerchin et al. (Lerchin et al. 1975) reported a single case of DLE associated with alopecia areata. Werth et al. (Werth et al. 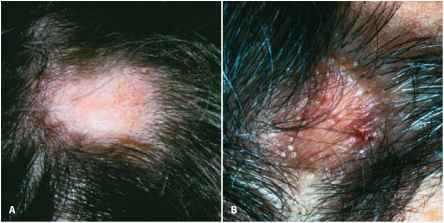 1992) found 4 patients with alopecia areata in a group of 39 patients with LE. Two of the patients had DLE and two had SLE. The first of the reported patients had scarring alopecia as well. 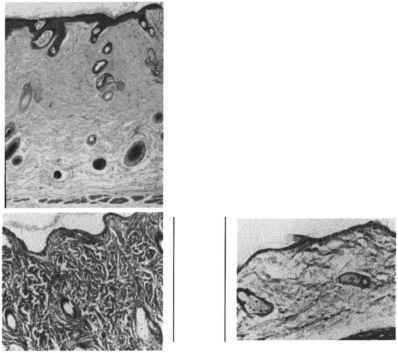 In each patient, continuous granular deposits of IgG at the dermoepidermal junction were detected. The authors believed that the incidence of alopecia areata in patients with LE is increased because of the common lines of evidence of both diseases. Many diseases of hair follicles result in alopecia, which is simply defined as any type of hair loss. The alopecias are conventionally grouped into nonscarring and scarring categories. Nonscarring alopecias may be localized or diffuse. Since the follicles are not destroyed in the nonscar-ring alopecias, there is potential for regrowth or return to normal hair density in these conditions. Follicular diseases that result in follicular destruction and permanent hair loss are termed scarring alopecias. There is some confusion in this categorization scheme because some of the nonscarring alopecias can eventuate over many years into areas of permanent alopecia through follicular drop-out. This is essential because the flap will later be advanced by securing it to the superior occipital fascia with deep permanent sutures. As dissection continues inferi-orly in the occipital region, the plane become more superficial but still must remain beneath the hair follicles to avoid producing alopecia. As a general rule, if you see hair follicles, they probably are damaged. Flap elevation is carried out from behind, working toward the sternocleidomastoid muscle. In this area, sharp dissection will be required. We prefer to use the electrosurgical unit, but dissection can be carried out with a blade or scissors. Next the temple tissues are elevated. No skin is removed, but a strong permanent suture to the underlying dermis and temporoparietal fascia of the inferior temporal flap is placed and advanced posteriorly and superiorly, securing it to the temporalis fascia. By avoiding any skin excision, the scar will be thin, with little chance of hair loss. Still, this strong deep suture provides effective elevation of the temple area without a stretched look. 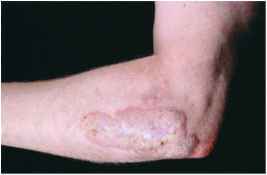 In psoriasis vulgaris, again, individual psoriatic plaques may be similar to DLE, especially fresh lesions and those of the photosensitive type. Psoriatic plaques are round and well demarcated their scales, however, are large, silvery, and easily detachable. They do not lead to hair loss or epidermal atrophy. At the clinical overview, psoriasis differs from DLE by its exanthematic distribution and its totally different predilection sites. Also, psoriatic plaques of the face are rare. As antimalarials can aggravate psoriasis, psoriasis should be ruled out before treatment of DLE is started. Fenugreek seeds, like those of most legumes, are rich in protein, so fenugreek adds valuable nutrients as well as flavor to the diet. The plant is native to west Asia and southeast Europe. Charred seeds from the Middle East date from about 4000 bc onwards. Fenugreek was present in Tutankhamen's tomb and was a component of the holy smoke used for fumigation and embalming. It was used in a medieval cure for baldness. The steroid in its seeds may be useful in oral contraceptives, and is widely used as a galactagogue (to increase milk supply). Fenugreek is an important component of curry powders, a popular ingredient of Egyptian and Ethiopian bread, and the principal flavoring of artificial maple syrup. Discuss with the woman helpful coping mechanisms. Encourage her to be open with her partner, her family, and her friends about her concerns. Help the patient cope with hair loss. Teach her cosmetic techniques to deal with hair and body changes. Explore alternative methods to medication to manage nausea and vomiting. Tinea of the scalp may be confused with any scalp disorder that causes patchy alopecia, inflammation, or scale. The presence of hairs broken off a short distance above or right at the scalp surface should cause immediate suspicion. Occasionally TCa does not produce hair breakage. Alopecia areata causes patchy hair loss and may show erythema of the scalp. Scale is absent, however, and the presence of exclamation-point and dystrophic anagen hairs should differentiate it. In older patients with alopecia areata, gray hairs continue to grow within the patches of alopecia. An active impetigo of the scalp, on rare occasions, can produce enough inflammation to cause hair loss and may simulate a kerion. Hairs can be readily epilated but come out by the root rather than by breakage. Whenever there is a question, hair KOH exam and fungal culture are indicated. Topical fluorouracil may be used to manage some SCC skin lesions. During treatment, the patient's skin is more sensitive than usual to the sun. Healing generally occurs in 1 to 2 months. With metastatic SCC, radiation, chemotherapy, and surgery may be combined. 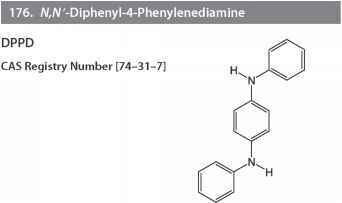 The chemother-apeutic agent commonly used is cisplatin or doxorubicin, or both. External beam radiation therapy may be used in cases where a tumor is difficult to remove surgically because of its size or location and in situations in which the patient's health precludes surgery. As an adjuvant therapy after surgery, radiation can be used to kill small deposits of cancer cells that were not visible during surgery. 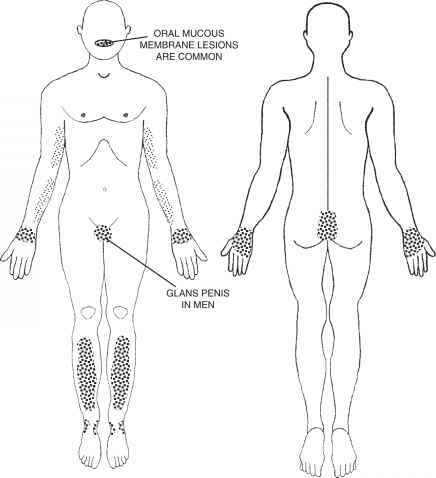 Radiation may also be used when NMSC has spread to other organs or to lymph nodes. If the patient undergoes radiation therapy, prepare the patient for common side effects such as nausea, vomiting, diarrhea, hair loss, and malaise. If a chancre exists, palpate the surrounding lymph nodes for hard, painless nodules. Also inspect the scalp, skin, and mucous membranes for hair loss, rashes, or mucoid lesions, which are characteristic of the secondary stage. Inspect the fingernails for signs of pitting. There arc limited case report data of hypervitaminosis A (e.g., bulging anterior fontanels, increased intracranial pressure, hair loss, increased suture markings on the skull, and periosteal new bone formation) in children and adolescents after doses ranging from 7,000 jig day in young children to 15,000 yig day in older children and adolescents (Farris and Erdman, 1982 Siegel and Spackman, 1972 Smith and Goodman, 1976). Given the dearth of information and the need for conscrvativism, the UL values for children and adolescents arc extrapolated from those established for adults. Thus, the adult UL of 3,000 yig day of preformed vitamin A was adjusted for children and adolescents on the basis of relative body weight as described in Chapter 2 with use of reference weights from Chapter 1 (Table 1-1). Values have been rounded. It is a misbelief that Alibert was the first to describe mycosis fungoides (MF). Almost 200 years earlier, Bontius (1) Citing Pesino from Italy described a disease, which today we would classify as cutaneous T-cell lymphoma (CTCL). The erythrodermic and leukemic variant of MF was not described for the first time by Sezary and Bouv-rain (2). Twenty years earlier, Leo von Zumbusch at the 9th reunion of the Munich Dermatological Society presented a 71-year-old male patient suffering for 5 months with erythroderma, leukocytosis (21,000 mL) and lymphocytosis (> 70 ), with lymphoid skin infiltrates, hair loss, and hyperkeratosis (3). This probably is the first documented description of what we refer to today as Sezary syndrome. Microdistribution Follicular distribution is encountered on rare occasions. 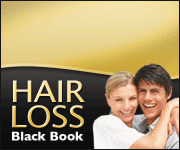 The disease may attack any hair bearing area. Follicular LP may be seen with other typical skin and mucous membrane lesions or may occur alone. It presents as pin-head-sized conical, rough red papules pierced by a hair. Permanent hair loss may occur. ACLE appears in 30 -60 of patients with SLE. It includes localized (malar) erythema, widespread (face, scalp, neck, upper chest, shoulders, extensor arms, and back of hands) erythema, and bullous (toxic epidermal necrolysis-like) LE. Additionally, nonspecific but disease-related cutaneous manifestations can appear in patients with LE, including photosensitivity, alopecia, urticaria, livedo reticularis, dermal vasculi-tis, and Raynaud's phenomenon (Yell et al. 1996). 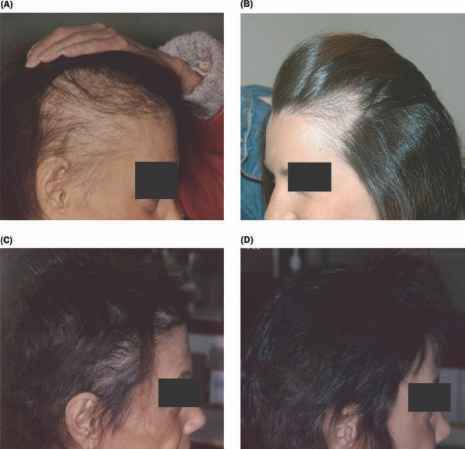 Alopecia ( ) Hair loss is a common and characteristic finding in patients with SLE. The variability in recording alopecia resulted in its exclusion from the ACR criteria. It may be scarring, if preceded by DLE, or nonscarring. Classic variants of specific CLE lesions are DLE and SCLE. 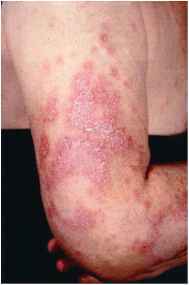 Other typical CLE subsets, such as LE profundus panniculitis, LE tumidus, urticaria vasculitis, hypertrophic LE, and bullous LE, are rather rare variants. Butterfly rash and macular exanthema are characteristic skin lesions of SLE rarely found in patients with CLE. DLE and SCLE may appear at any age, but the most common age at onset is 20-40 years in females and males, with a female predominance of 3 1 in DLE and 3 1 to 6 1 in SCLE. Nonspecific LE skin lesions such as generalized or acrolocalized vasculitis (4 -30 ), livedo reticularis (22 -35 ), and alopecia (38 -78 ) are frequently seen in patients with CLE (Beutner et al. 1991,Callen 1985,1986,Molad 1987,Moschella 1989, Sontheimer 1979, Tebbe and Orfanos 1992). Monitoring the health of research animals is a necessary prerequisite to sound science and cost-effective research. Programs traditionally include one element which relies on observational data where animals are monitored for overt signs of disease such as diarrhea, sneezing, lethargy, hair loss, and weight loss. A second element uses diagnostic tests to identify clinical conditions. The animal care and veterinary staff, working in conjunction with investigators and their technicians, normally observe, diagnose, and treat clinical conditions. Antimalarial therapy can cause altered pigmentation. Premature graying of scalp hair, eyelashes, eyebrows, and beard has been detected. Also, diffuse hyperpigmenta-tion or linear horizontal bands of pigmentation can be detected in nails. A blue black patchy hyperpigmentation has also been noted on the mucous membranes and over the anterior shins. These pigmentary alterations associated with antimalarial therapy disappear with discontinuation of therapy. Actively growing hair follicles penetrate the entire epidermis and dermis. 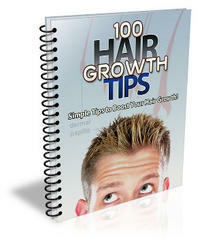 There are approximately 5 million total body hair follicles, of which 100,000 to 150,000 are scalp follicles. In adults, 90 of the hair follicles are in the growing (anagen) stage and the remainder are in the resting (telogen) stage. Follicular density decreases with age (1135 cm2 at birth to 485 cm2 at 30 years to 435 cm2 at 80 years). Scalp hair grows at a rate of 0.37 to 0.44 mm day and normal scalp hair loss or shedding in adults ranges from 50 to 100 hairs per day (2). CLINICAL PRESENTATION In lamellar ichthyosis the skin shows, course, yellow scales with raised corners which range is size from fine to large and plate-like. These scales are arranged in a mosaic pattern resembling fish skin and are easily shed. Fine, light to dark thick scales are present on the eyelid skin and at the base of the eyelashes. Alopecia of the scalp and loss of eyelashes is common. Often there is keratinization of the lid margin and palpebral conjunctiva, accompanied by a papillary reaction. 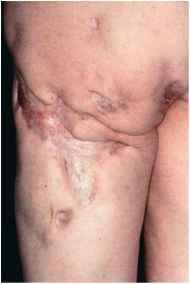 With time the skin tightens resulting in ectropion which may be very severe. Corneal exposure with secondary scarring and vascularization is a constant threat. Teach parents and child about the disease process, surgical procedure, what to expect with procedures done preoperatively, and what will be experienced postoperatively including radiation and chemotherapy and its benefits and effects (alopecia, stomatitis, nausea, vomiting, diarrhea are possible but temporary). Associated orbital disease is not uncommon and presents with pain, lid edema, and exophthalmos. Systemic manifestations include purpura due to thrombocytopenia, urticaria, pruritis, erythema multiforme, leonine facies, alopecia, exfoliative dermatitis, and infection with opportunistic organisms may be seen. Death may result from infection or hemorrhage. Additional Side Effects Muscle twitching, numbness, seizures, increased BP, alopecia, purpura, pseudotumor cerebri. Photosensitivi-ty when used topically. After ophthalmic use Transient irritation, burning, stinging, itching, inflammation, angioneurotic edema, urticaria, vesicular and maculopapular dermatitis, mydriasis, conjunctival paresthesia, conjunctival hyperemia, nonspecific conjunctivitis, conjuncti-val epithelial defects, lid itching and swelling, bacterial fungal corneal ulcers. Additional Side Effects CV Allergic myocarditis, hypotension. Dermatolog-ic Alopecia, exfoliative dermatitis, toxic epidermal necrolysis, erythema multiforme, Stevens-Johnson syndrome. Miscellaneous Anaphylactic reactions, respiratory distress including pneumonitis and pulmonary edema. Overlying and posterior to the sternocleidomastoid muscle, there are often thick attachments between the skin and the deeper structures of the neck and it may not be possible to develop a superficial plane with the cannula. If there is resistance in this area, we desist and depend on later sharp dissection. This is also true in the posterior triangle of the neck. It is important to avoid going too deep in the posterior triangle as the spinal accessory nerve may be at risk. We avoid all lipodissection beneath the hair bearing skin in the occipital scalp to avoid damage to hair follicles, which can easily result in permanent alopecia. The daily intake of selenium varies from 80 to 130 ig. The RDA is set at 150 ig. The toxic dose is about 30 times the RDA. Acute intoxication has been reported after ingestion of about 30 mg. 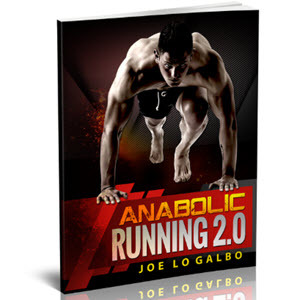 Symptoms were nausea, abdominal pain, diarrhea, nail and hair changes, peripheral neuropathy, fatigue, and irritability. Chronic dietary intake of approximately 5 mg day has been found to result in fingernail changes and hair loss (selenosis). In the seleniferous zone of China, a daily dietary intake of 1 mg of sodium selenite for more than 2 years resulted in thickened but fragile nails and garlic-like odor of dermal excretions. Most retinoids of the first and second generation were usually used orally with dosages of 1-2mg kg day. The most commonly reported side effects of these agents are dryness of the skin and mucous membranes, pruritus, increased levels of liver enzymes, hypertriglyceridemia, hypercholesterolemia, axial osteoarthropathy with bone pain, arthralgias, myalgias, and hair loss. Most of these side effects are reversible except for axial osteoarthropathy resulting in stiffness of spine and decreased axial mobility.